Since Mary Ann Connors earned her degree from the University of Connecticut School Of Law in 1987, her skillful advocacy and thorough preparation has resulted in many favorable settlements and verdicts. Her extensive trial experience encompasses medical malpractice, products liability, motor vehicle torts and wrongful death. Mary Ann currently serves on the Board of Governors for the Connecticut Trial Lawyers. 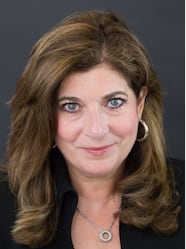 She has served as a court-appointed arbitrator for the Connecticut Superior Court since 1999, hearing cases and rendering decisions. Mary Ann has spoken at continuing legal education seminars on topics from products liability to negotiation. "We are committed to protecting the rights of those who have suffered injustice through the conduct of others. Our team approach ensures that each client benefits from our collective experience and talents, as well as the individualized attention that has established our reputation in the legal community."